Nature's fury, horrible accidents, criminal acts, moral failures, personal attacks. Nothing tests a ministry leader's skills more than a crisis. When sudden events turn things upside down, and the normal methods of operation are no longer possible, the leader and the leadership moment are placed in the fire and thrust into the spotlight at once. With that in mind, Catastrophic Crisis authors Steve Echols and Allen England take a case study approach to understanding effective Christian leadership, looking back at eight trials or tragedies faced at religious institutions in recent years. From the New Orleans Baptist Theological Seminary's encounter with Hurricane Katrina to the First Baptist Church in Maryville, Illinois, where pastor Fred Winters was shot and killed while preaching, this well-researched book tells the inside stories of each event, analyzes the leadership responses to draw out important lessons, and then poses direct questions that will help the reader actively process what is being learned. 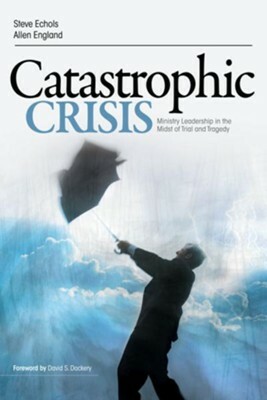 Catastrophic Crisis concludes with the "Leadership Lifeboats" and "Aftermath" chapters, focusing respectively on practical, biblical insights from various other leadership authors and the hope and blessing God ultimately provides following a personal catastrophic crisis. Steve F. Echols is associate dean of the Alabama and Georgia extension center systems for New Orleans Baptist Theological Seminary where he also directs the North Georgia Hub and occupies the Nelson L. Price chair of Leadership. I'm the author/artist and I want to review Catastrophic Crisis - eBook.